Over the years, I’ve had the privilege to partner with this week’s guest blogger in many different ways. I edited his book, Christ’s Basic Bodies, written and led training seminars for the ministry he founded (TOUCH Outreach Ministries), and interviewed him for my blog and other writing projects. Neighbour is one of the pioneers of the groups movement in America and around the world. See my video interview with him here. Here’s what I love about this man: He will challenge you, if you let him, in your suppositions about small group ministry, community, discipleship, the church, and in many other areas. You may not agree with everything he says, but I encourage you to pay attention, because if you do, I believe you can become a better ambassador for God. May I challenge you over the next three days? 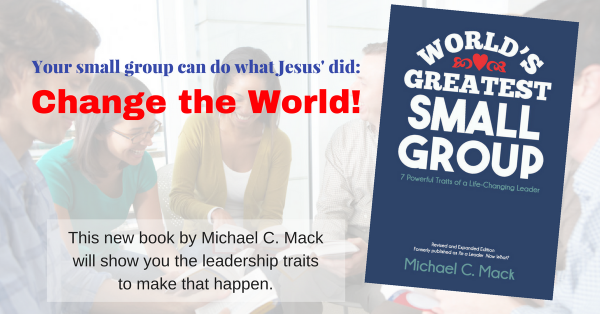 Set aside any preconceived notions you may have about small group ministry. Just soak in what Dr. Neighbour has to say and learn from his experiences, especially those he has learned from the church in other countries around the world. GUEST POST by +Ralph Neighbour. Follow him on Twitter at @RalphNeighbour or on his blog at www.neighbourgrams.blogspot.com. For 45 years I have lived and traveled the nations of the world consulting for Cell Group churches. I have spent 8 years in Singapore and have spent considerable times in South Africa, Brazil, and the Ukraine. I have worked in Switzerland, England, Indonesia, Hong Kong, Korea, Russia, Ivory Coast, Zambia, Canada, Mexico, Argentina, Korea, China, New Zealand, Australia, Thailand, Viet Nam, Germany, France, Holland, Belgium, Spain, and the Canary Islands. We have merchandised our faith so Mammon is equally worshiped along with our faith in God. Please understand my bias before reading further. FACT 1: OVERSEAS BODIES OF CHRIST REVEAL CHRIST’S PRESENCE. His new body would be formed by as few as two people (Matt. 18:20), He would be in their midst revealing Himself when they entered a household to spend time with the family (Luke 10). They would not reveal Him by doing good works but by manifesting His presence and power. They would heal, cleanse, deliver, comfort as He empowered them to prophesy (1 Cor. 14:3). His new assignment was not for the group to study Him, or explain Him, but to reveal Him by being priests revealing His indwelling presence. The body could be as small as a gathering of body members gathering as hands, feet, inward parts. We see them assembled in 1 Cor. 14:24ff. To be continued tomorrow. Read Part 2: Overseas Bodies of Christ Have Harvest Fields. Get free updates to receive monthly tips & ideas to lead healthy groups!